Wow! I asked and you answered. 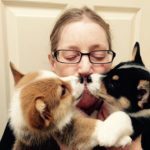 Over at the Daily Corgi Facebook page (which just hit 75,000 followers yesterday OHMYSTARS), I asked for pics and little bio blurbs about your Corgis. And you sent them. Many of them. Such riches! There is only one of me, alas, so it will take a while to get through that gallery of dogues, but I plan on it. Mondays and Fridays from here on out, you’ll be seeing more galleries like this one. It’s going to be big fun, people. BIG. 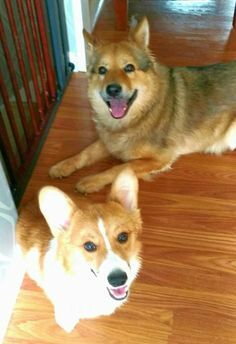 More Corgis = more fun for us, right? 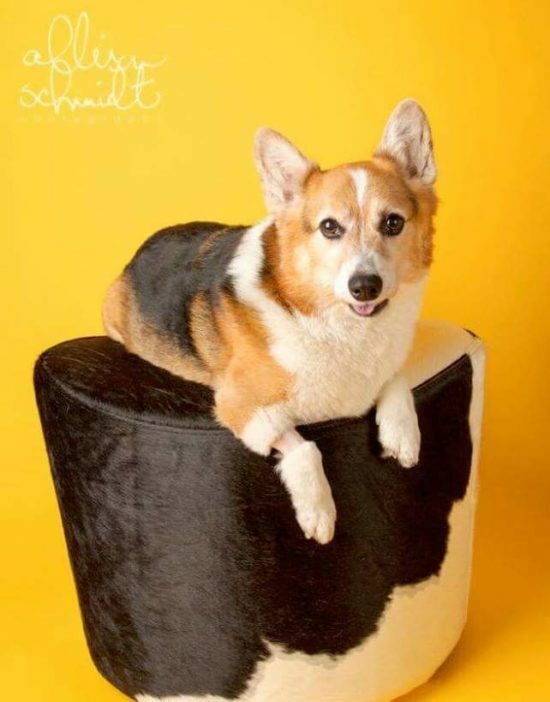 Not on Facebook but want to send me your Corgi pic? 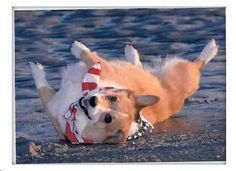 Send it to TheDailyCorgi@gmail.com with “gallery” in the subject line. 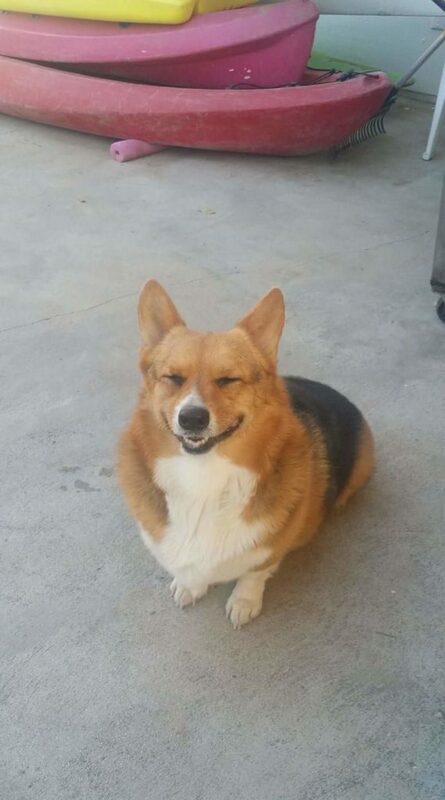 Send me a pic of your dog smiling, a quick ‘n dirty bio, and I’ll take it from there. CoZmo hails from Valencia, California. 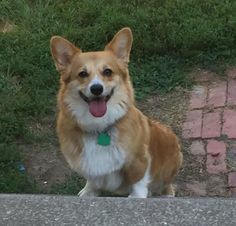 He’ll proffer his paw for a shake when you say “Corgi Power!” and can push the basketball around the yard with his nose like nobody’s business. 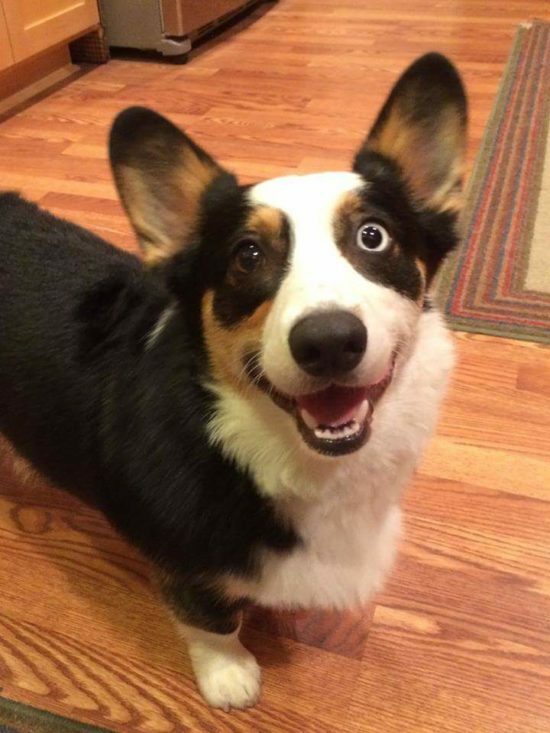 Oh yeah, and that not-brown eye is his “crazy eye”. 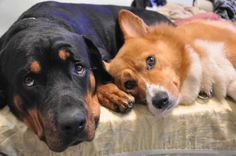 Straight outta Raleigh, North Carolina, Bacon (left) and Ham (right). Bacon loves frisbee, chicken and his Daddy. Ham goes in for food, pets and cuddles. 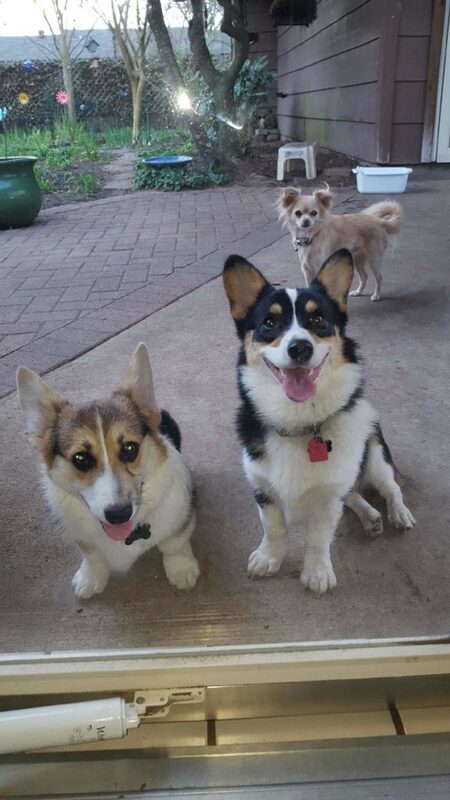 Together, they are a Whole Lotta Corgi! 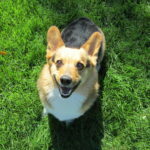 Born to frap, Bentley Slavin is a Daily Corgi blog alum (PUPPY PICS ALERT!) living in Conway, South Carolina. This neighborhood clown loves the fun of chasing geckos and tree frogs. Leila likes to wiggle her bum (if you were her, you’d wiggle it too), play fetch and return the ball. This lovely lass lives in Canyon Lake, California. Meet Minnie (Pearl) Cooper, “MinMin” for short. 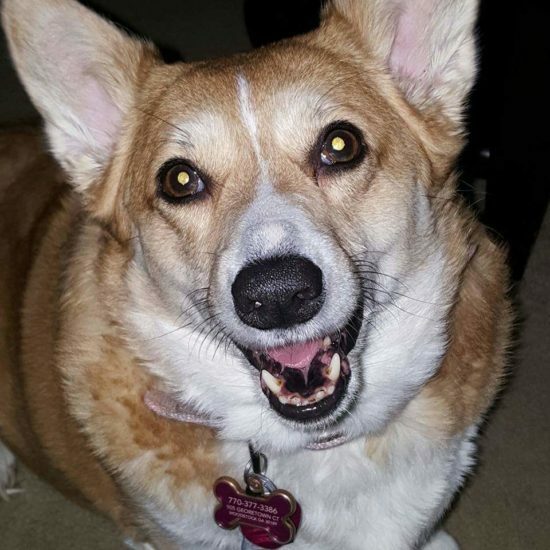 She keeps it Corgi down in Jacksonville, Florida and has a thing for empty toilet paper rolls. MinMin knows the sound they make when they’re down to the last few tissues. You didn’t know you needed company in the john, did you? 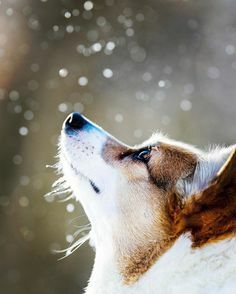 It’s a Corgi thing. You’re welcome. 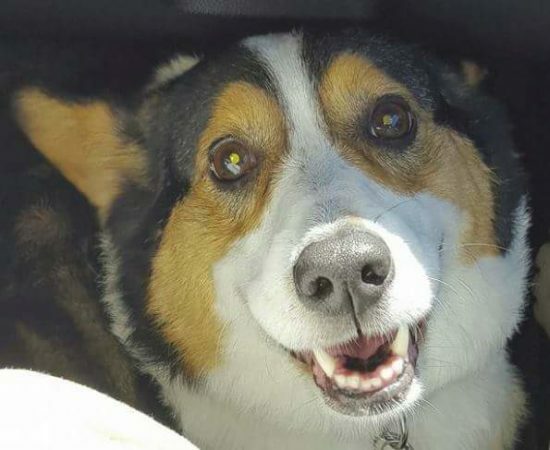 Four year-old Beau calls Social Circle, Georgia home. 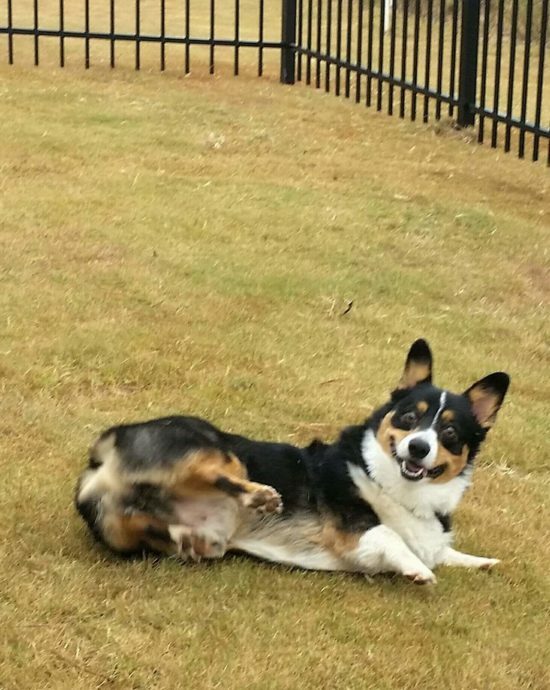 His rolling-in-grass technique is flawless, even during a drought. 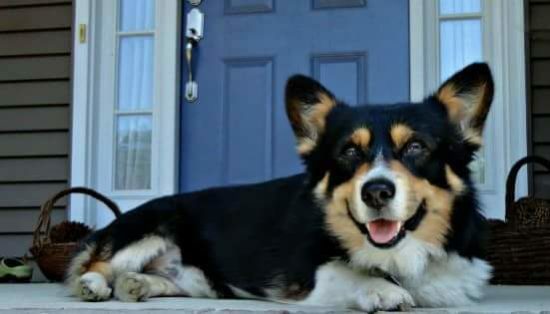 No new fence is going to get his Corgi spirits down! Another Georgia peach, Maggie Faye lives with her brofur and sister in Woodstock. She’s a chatty gal who enjoys short car rides and talking about everything in her eyeline. Cody has fight in him the size of Texas! 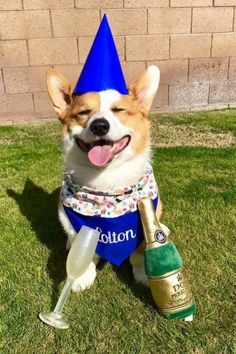 Way to CORGI ON, y’all! 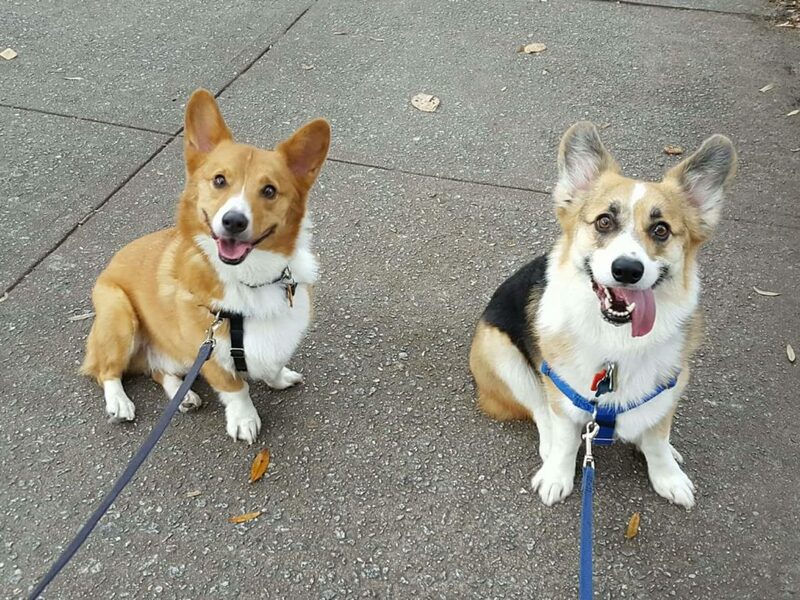 Down in Texas, Elsie and Emory have perfected their smiles-for-treats heist. 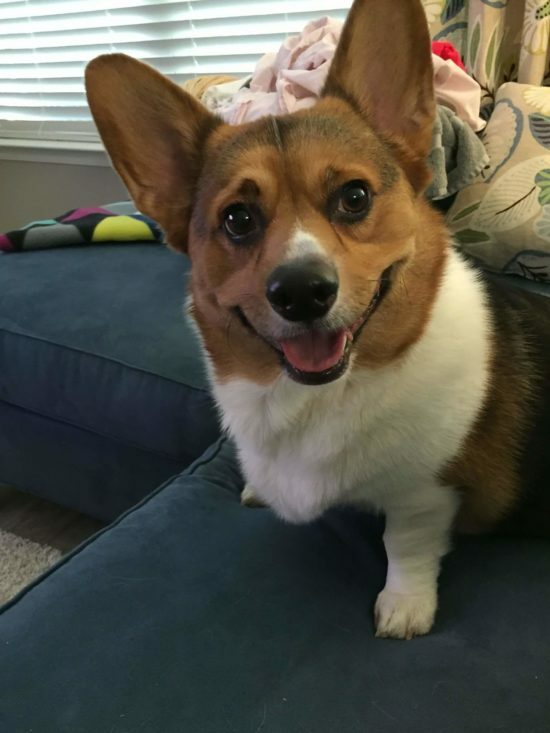 Those grins are sweet, but it’s the barks that get them the biscuits. Photo bomb bonus points to Pinky the Chihuahua. Winston is no stranger to the spotlight. 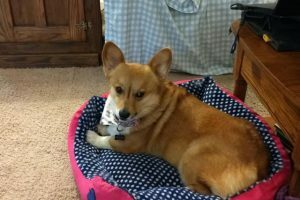 He’s a Daily Corgi blog alum and the resident Corgi On Patrol over at his author Mom Lisa Steele’s site and “chicken lifestyle” TV show Fresh Eggs Daily. Lisa started her site the same year I started mine (2009 — yikes! 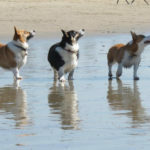 ), and watching her grow her little-big empire from the ground up has been an inspiration to me here at The Daily Corgi. 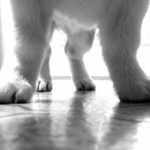 Seeing someone else turn a pinch or two of love and a generous helping of hard work into a community of faithful readers and followers has been instructive and inspirational. I highly recommend it. The work and the love. 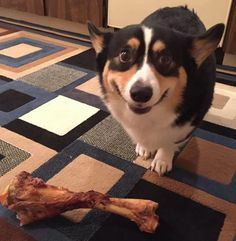 Friday Finale: Two Dozen More Corgi Grins! 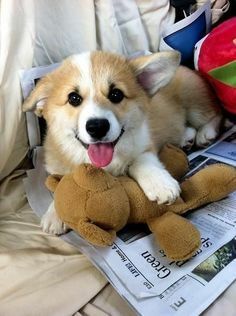 Oh those Corgi faces are just adorable. Corgi smiles are the very best!!!! Thank you for all you do, Laurie! Love it, love it, love it! Best way to start the week!